As Instagram explodes in popularity across the globe, savvy users and organizations have sought out ways to exploit its popularity by monetizing their accounts. It is already well known that certain celebrities and public-figures earn a substantial sum by posting about certain brand products/services – a form of modern-day product placement. Kim Kardashian, for example, has been found to earn north of $500,000for access to her 110 million+ followers via a marketing campaign. However, many people aren’t aware that there are numerous other ways that you can monetize your Instagram account in 2018, even if you don’t have the reach of Kim Kardashian or Kevin Hart. Kim Kardashian is one of the most prominent Instagram celebrities today, with over 100 million followers. Despite the general rule being that the more of an Instagram following you have, the greater your earnings potential; there are many ways you can immediately begin to monetize your Instagram account. One of the defining trends we are likely to see in 2018 is the greater use of Instagram paid ads and e-commerce functions among brands across the globe. Earlier in 2017, Instagram launched the ‘buy now’ capability which allows certain influencers (including brands) to include a link to their e-commerce platform in their posts. This has opened up the possibility of directly converting potential customers into customers 100% through the Instagram platform. 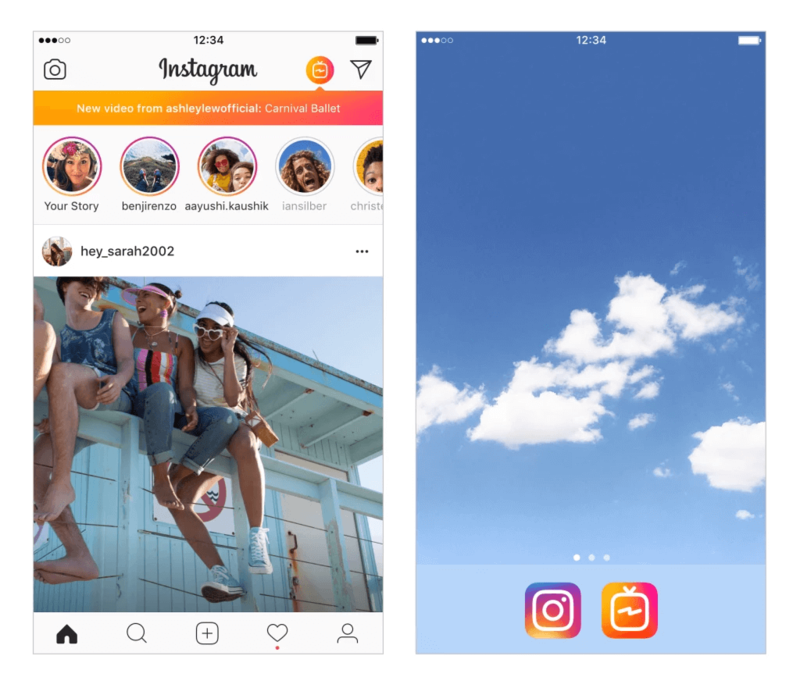 While the feature is still relatively new, it has already become extremely popular – with the number of Instagram e-commerce users doubling from 1 to 2 million between March and September 2017. While the “shop now” feature is not yet available to the masses, Instagram has partnered with Shopify to offer e-commerce functionality to an initial group of businesses. The feature is expected to be expanded to everybody in the near future. Instagram partnered with Shopify in 2017 to open up their new e-commerce platform to select businesses across the United States and Canada. While becoming an Instagram influencer is often restricted to those with over 1,000 – 5,000 followers, becoming an Instagram brand affiliate offers anybody the opportunity to generate income from their Instagram account. The key difference between an influencer and an affiliate is that an influencer gets paid by the brand simply to display their product/service, whereas an affiliate gets paid whenever a customer actually purchases the brands product/service directed from their Instagram account. An affiliate is essentially an influencer who gets paid on a commission basis. How does this work? Once you have signed up as a brand affiliate, you will begin posting content that highlights the product or service you are marketing and include a unique link to the product page in the post. Every time that an Instagram user clicks on your unique link AND purchases the product/service, you will receive a small commission amount (generally between $0.10 – $3.00.) The more people who view your posts, and the more aligned that your followers are with the brand you are representing; the more earning potential. This is a good way to monetize your Instagram account while you also work to increase your followers. An example of the type of posts typically made by Instagram brand affiliates – with the unique affiliate link in the description. Each brand will have their own version of an affiliate program, where you will need to enroll. Rakuten Marketing and ShareASale are only two of many affiliate networks that partner established brands with Instagram affiliates across the globe. Alternatively, you can approach the brand directly to inquire about an affiliate program. The goal is to find a brand that aligns closely with the content on your account, where the branded content would resonate best. This is where Instagram affiliate marketers can generate the best ROI and make the biggest impact on behalf of the brand. Last but not least, the more ambitious person may wish to focus on building a large enough following to become an effective Instagram influencer. As previously mentioned, and influencer is someone who gets paid directly by brands to promote their content among their followers. Not everybody can be an Instagram influencer, as brands tend to favour those with massive Instagram followings such as celebrities and other influential people. The brand is paying you up front to promote their product/service, thus they will only work with those accounts where they are confident they can generate a return on investment. That is not to say that you need 1 million followers to earn money from your Instagram account as an influencer. In fact, a study found that many brands follow a ‘one-cent per follower’ rule to dictate how much they are willing to pay Instagram influencers per post. The same study also found that 66% of brands surveyed pay less than $250 per post, indicating that the majority of influencers on Instagram average less than 25,000 followers. The results from a survey conducted by Later, highlighting how much the average brand paid for a sponsored Instagram post in 2017. Regardless of how you choose to monetize your Instagram account in 2018, there is an option available to you. Whether you are a small business looking to convert potential clients on Instagram into revenue through e-commerce options, or a growing social media influencer looking to convert some of their popularity into monetary gain; Instagram is the place to be. Having a strong Instagram following is the key to your success in any case, both in terms of quantity and quality. To learn more about how you can grow your Instagram following, visit our comprehensive guide here.